Kount’s award-winning digital fraud prevention solutions are used by 6,500 brands globally, helping them to reach their digital innovation goals. 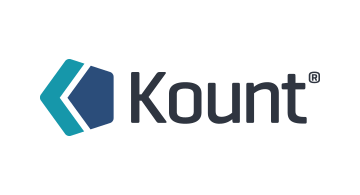 Kount’s patented technology combines device fingerprinting, supervised and unsupervised machine learning, a robust policy and rules engine, self-service analytics, and a web-based case-management and investigation system. Kount’s solutions stop fraud and increase revenue for digital businesses, acquiring banks, and payment service providers.